All about Andhra Pradesh State Eligibility Test (APSET) ✓ Notification ✓ Application Form ✓ Syllabus ✓ Admit Card ✓ Eligibility ✓ Question Papers ✓ Answer Key ✓ Exam Date ✓ Exam Pattern ✓ Cut-off Marks ✓ Preparation Tips for the post of Lectureship and JRF (Junior Research Fellowship) respectively for all the applicants of the Andhra Pradesh & Telangana state examination will be held in 2019. Candidates interested in appearing for the exam should apply only through online process from official website of Andhra Pradesh SET i.e. www.settsap.org or www.osmania.ac.in. 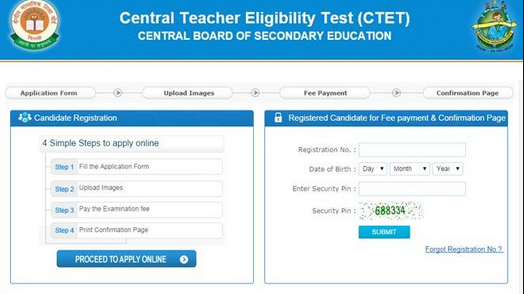 The Government has Decided to Conduct The Andhra Pradesh State Eligibility Test – Andhra Pradesh SET 2019 Exam Once Again in the Current year to help more Number of Candidates to Apply for Andhra Pradesh SET 2019 The State Government has announced the SET Andhra Pradesh 2019 Latest Schedule now. Only those candidates who have completed or are pursuing the final year of PGdegree in related subjects are eligible to appear SET – TS & AP. Others need not apply. Candidates who have secured at least 55% marks (without rounding off) in Master’sDegree OR equivalent examination from universities/institutions recognised by UGCare eligible for SET. The Backward Classes (BC) / Scheduled Castes (SC) /Scheduled Tribes (ST) / Physically Challenged (PH/VH) category candidates whohave secured at least 50% marks (without rounding off) in Master’s degree orequivalent examination are eligible to appear the SET. Candidates who have appeared (or) will be appearing at the qualifying Master’sDegree examination and whose result is still awaited (or) candidates whoseexaminations have been delayed may also apply for this test. However, suchcandidates will be admitted provisionally and shall be considered eligible for award ofLectureship eligibility only after they have passed their Master’s Degree examination(or) equivalent with atleast 55% marks (50% in case of BC/SC/ST/PH/VHcandidates). Such candidates must obtain their P.G degree mark sheet within oneyear from the date of SET with the required percentage of marks, failing which theywill be treated as disqualified. Ph.D. degree holders whose Master’s level examination has been completed(irrespective of date of declaration of result) shall be eligible for relaxation of 5% ofmarks from 55% to 50% to appear in the SET Examination. Candidates have to appear for SET in the subject of their Post-Graduation only. Incase the subject of a candidate is not included in the list of SET subjects, thecandidate may appear in UGC-NET / UGC-CSIR NET which is held twice a year. The candidates who qualify in the test are eligible to apply for the post of Asst.Professors / Lecturers in various universities and degree colleges of higher educationin Telangana and Andhra Pradesh. They will be given a pass-certificate and thevalidity period of certificate is forever. Candidates other than general category are required to mention of their social status(BC/SC/ST/VH) in the online application form. The candidates in their own interestmust satisfy themselves about their eligibility for the test. In case their ineligibility isdetected by the Agency at any stage, their candidature will be cancelled and theyshall be liable for legal action. Candidates may note that the verification of eligibility conditions with reference to thedocuments (PG qualification certificates, caste certificates and certificates related toPH/VH) as may be called for will be taken up only after the candidate has qualified inthe test. If in the event of the candidate being found ineligible at any stage for theaward due to any reason, the award may be withdrawn by SET agency. Candidates should note that their candidature is provisional. The mere fact that anadmission card has been issued to a candidate will not imply that the university hasfinally accepted his/her candidature. Candidates may note that their candidature willbe deemed final upon verification of eligibility conditions. The candidates will not be given any mark sheet from the SET office whether they have qualified or not qualified. No revaluations of papers are allowed forSET Examination. The SET agency will issue certificates to the qualified candidates only after careful verification of the concerned certificates of the candidate. 1. A person who scores 60% or more in the Andhra Pradesh-SET examination will be considered ‘Andhra Pradesh SET passed’ or ‘Andhra Pradesh-SET qualified’. This will be the qualifying marks for all categories. As per the UGC guidelines the CSIR/UGC-NET syllabus has been adopted for theconduct of SET for all the 27 subjects for which accreditation is given by UGC. Question paper for Paper-I is common for all subjects in which SET is conducted and it will bebi-lingual (English and Telugu). Paper-ll and Paper-lll of certain subjects will also be bi-lingualand details are furnished below. The syllabus for Paper-l, Paper-ll and Paper-lIl will not be sentto the candidates by the university. The candidates can download the syllabus of their subjectsfrom the university website: www.settsap.org or www.osmania.ac.in. ✓ Examination Hall Ticket will be provided online to all candidates 10 days prior to the date of theexamination. Candidates have to click the link “Download Examination Hall Ticket”. ProvideRegistration Number and print the online Examination Hall Ticket. ✓ Candidates have to download and get a printout of the Examination Hall Ticket. It will not besent to the candidates by post. ✓ Candidate must carry the Examination Hall Ticket and also one additional photo identity suchas a Driving License, Voter ID, College/University Identity Card, PAN Card, etc, to theexamination center on the day of the examination. ✓ If your Examination Hall Ticket does not display the image of your photograph, you have topaste the photo at the appropriate place and get it attested from a competent authority. ✓ The candidate is not allowed in to the examination hall without the Examination Hall Ticket. ✓ Please confirm that your Name, Subject, Centre, etc, shown in the Examination Hall Ticket arecorrect. If there is any error in the Examination Hall Ticket please contact SET officeimmediately and submit a written application. Otherwise SET Office will not be responsible formaking necessary corrections and will not be responsible for providing benefits or for lossarising out of these to the candidates. 1:- Log on to the official website www.settsap.org or www.osmania.ac.in. 2:- Follow the link of “Examination” and click on 'Hall Ticket'. STEP#01: Log on to official website of Andhra Pradesh SET. to apply online for Andhra Pradesh SET. STEP#04: Fill and edit Andhra Pradesh SET 2019 online application form. STEP#05: Andhra Pradeshload photograph and signature. Contact Address : Office of the SET – TS&APII-Floor, Block-II,PGRR Center for Distance Education,Osmania University Campus,Hyderabad-500007 (TS). when set ts & ap 2016 conduct?